Did you leave the transponder key in the car? Did you lose it? Such problems often lead to lockouts. But don’t let such situations worry you. If you ever need assistance during a car lockout in Uxbridge, Ontario, you just contact us and let the best pros tackle the problem. 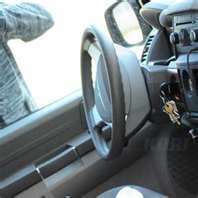 Whether your keys are lost or locked in the vehicle, the locksmith will unlock the car and retrieve them. If the car key is broken, it can be replaced. 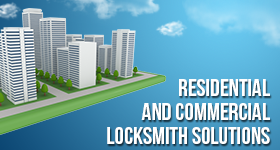 Depend on Locksmith Uxbridge to help you during lockouts. Lockouts are bad news. But the problem is easily solved when you contact us. Available to you for 24 hour car lockout service in Uxbridge, we make your life much easier and safer. It’s frightening and frustrating having no access to your own car. This might happen when you forget, lose, or break keys. It might happen when the key won’t open the door or when there is a problem with the lock. Irrespective of the reason for the vehicle lockout, you can expect our quick assistance and excellent service. A pro comes right out to offer the required car opening service. Did you just shut the door leaving the key inside of the vehicle? Worry not. The pro will unlock the door in a jiffy. Qualified and trained to service locks and keys of nearly all makes and models, the locksmiths can open locked car doors of all sorts. Did you leave the car key in the trunk? Do you need a pro to replace the transponder key? The pros can unlock car trunks or doors. They can replace all types of car keys and have the equipment and expertise to program transponder keys. They arrive to the location of your vehicle in a hurry and are well-equipped to do any service requested to address the problem. Is a small child locked in the car? Do you need a pro to unlock the car urgently? Don’t worry. We are available for 24/7car lockout service. Every time you are in need of car door opening or trunk unlocking services to gain access to your vehicle, remember that help is only one phone call away. Dial our number and a pro will be there for you. Call us now if you need a quote or Uxbridge car lockout service.